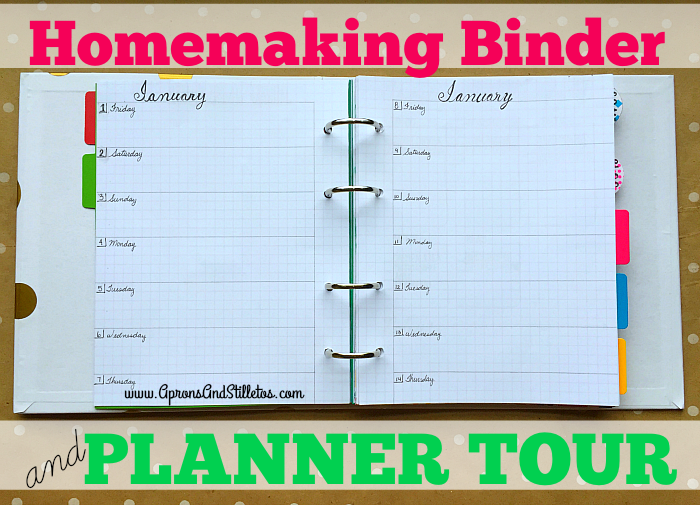 Who’s ready for a fun planner tour? I love making these posts for you guys. I get so much inspiration as I sit down to organize my planner and I hope you do as well. This is one of the two planners I use daily. I’m going to show you the sections and tell you a little bit about their purposes. I made the video in two parts be my camera wasn’t cooperating. They are both really short, but have a lot of details about my binder set up so watch them both. Below you can watch PART 1. Here’s where you can watch Part 2. If you have any questions about my planner or have a topic you’d like for me to cover in a video, let me know. If you’re looking for a great daily planner printable, this is the one I use in my full size daily planner.